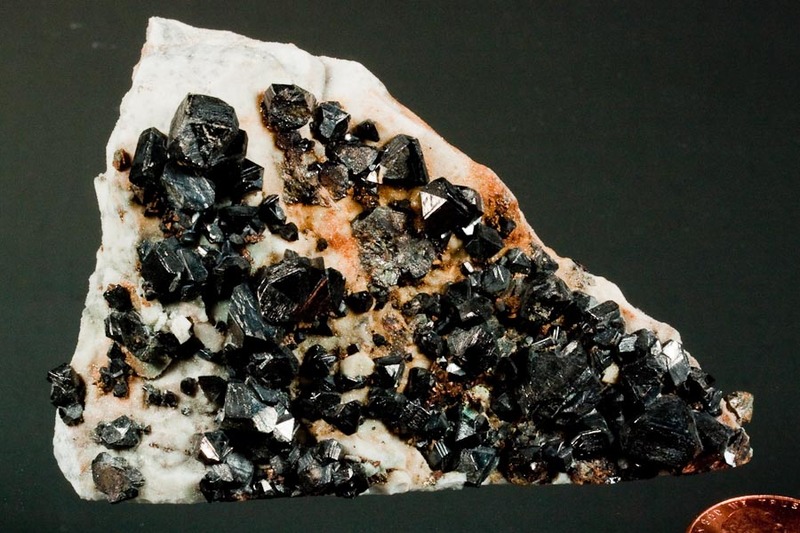 Comment: Choice sharp black tetrahedral crystals of sphalerite to 0.9 cm in size are scattered richly over a 7.5 x 5.4 x 2.9 cm chert matrix. There are several minor and non-prominent crystals that are damaged, but overall this is in good shape. All of the prominent crystals are sharp, lustrous and perfect. Nice U.S. classic!